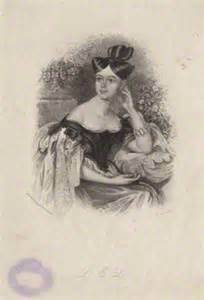 During the mid 19th century Letitia Elizabeth Landon ( 1802-1838 ) was the most widely read woman of her day. A hybrid of Agatha Christie and Enid Blyton she managed to write some very successful novels, children stories, short stories and even found time to pen a few plays as well. Business before pleasure, I am ready to grant; but when there is none, il faut s’amuser! Sadly she seems to be all but forgotten these days. Previous PostBloody but unbowed and Long John Silver…. Next PostThe first penthouse in London…….